Forensic investigators are both scientists and detectives, fueled by the commitment to pursue knowledge and the drive to successfully solve each case. Though a forensic investigator may specialize in areas as diverse as Building Science, Fire Investigation and Materials Failure, they all share the common goal of uncovering the true cause of an incident and making our world a safer place through sharing this information and empowering people to make informed decisions based in science. Work fulfillment is gained by confronting a challenging problem and finding a solution. It’s this problem solving in service of a greater good that drives a forensic investigator in their work. But many loses are complex, and a single investigator, regardless of skill and commitment, cannot always reach a conclusion alone. Loses often involve multiple factors and require the expertise of more than one investigator to uncover origin and cause and develop practical solutions. In such cases, it is ideal to work within a team of specialists, with each investigator focusing their efforts in the area where they have deep understanding of the science involved, and the team combining their shared knowledge and experience to uncover the complete picture. It is this approach that will lead to conclusions on challenging cases and allow the forensic investigator to deliver useful solutions to clients. One case involved an explosion in an industrial building. The explosion occurred on the 3rd floor of a 4-storey structure, and caused severe damage to one side of the building (Photograph 1). It was determined that the structural integrity and safety of the building had been compromised and immediate action was required to ensure safety in the areas at risk of structural collapse. An emergency response was necessary. 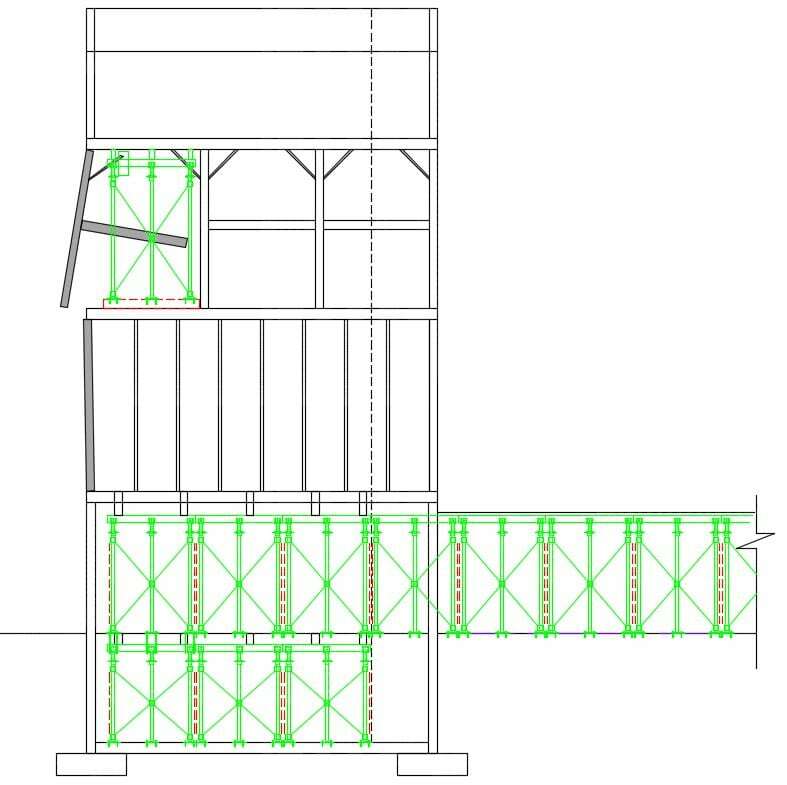 A team of Civil/Structural engineers and Engineering Technologists quickly developed an emergency response strategy, which involved an initial structural assessment, 3D scanning of the damaged structure to establish a baseline condition for continuous monitoring, design and installation of temporary shoring to support the damaged building, and the use of a 90 ton mobile crane to temporarily support the top portion of the building while workers accessed the severely damaged area (Photograph 2). 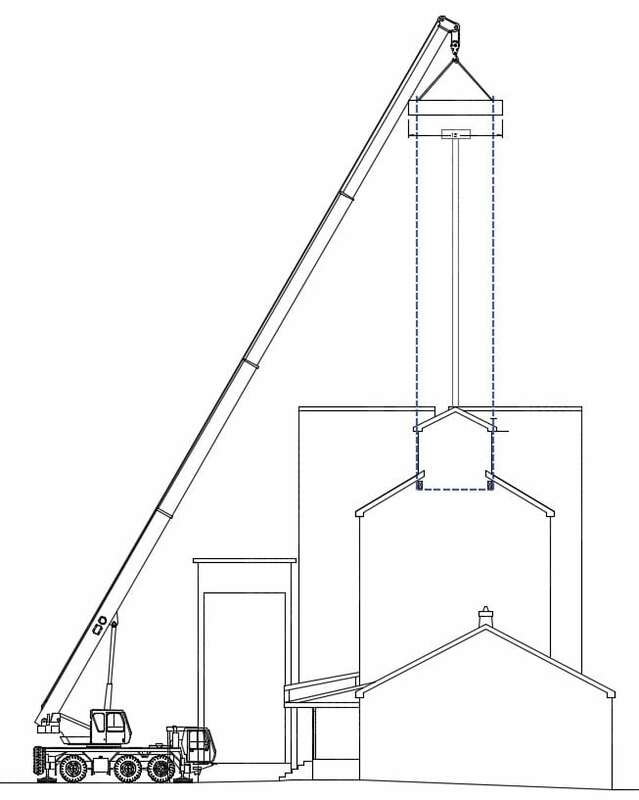 An ‘Emergency Response Proposal’ was developed, which included a scope of work detailing the design of the emergency shoring and support system as well as installation and safety procedures to be adhered to throughout the emergency response. The plan evolved as required throughout the process and was implemented in cooperation with the Restoration Contractor, with members of the emergency response team present throughout the installation to monitor progress and provide assistance when necessary. 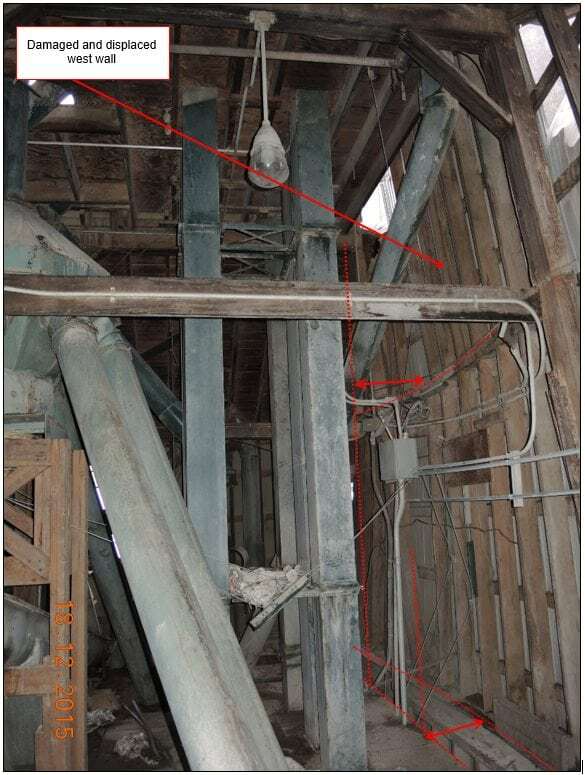 The completed shoring system rendered the building temporarily safe for thorough inspection by the Office of the Ontario Fire Marshal, which was investigating the explosion. At the same time, Fire and Electrical experts were permitted to complete an investigation of the explosion and were able to provide conclusions regarding origin and cause. During the development and implementation of the emergency response, additional assessments of various environmental and cleaning requirements were also identified and undertaken within the damaged building. The explosion had caused significant particulate accumulation as well as some minor smoke and soot damage. An Environmental Health and Safety team was able to provide a cleaning plan to remediate the identified environmental factors. In addition, an Electrical Investigations team became involved in the case when asked to assess damage to the building’s electrical room and power distribution system and provide recommendations for remediation. At this point, a diverse team of experts was onsite and working together to support the successful remediation of the damaged building. Following completion of the origin and cause investigations, the emergency response team was asked to return to the site to thoroughly investigate the explosion‑related damage and provide recommendations for restoring the building to its pre‑loss condition. 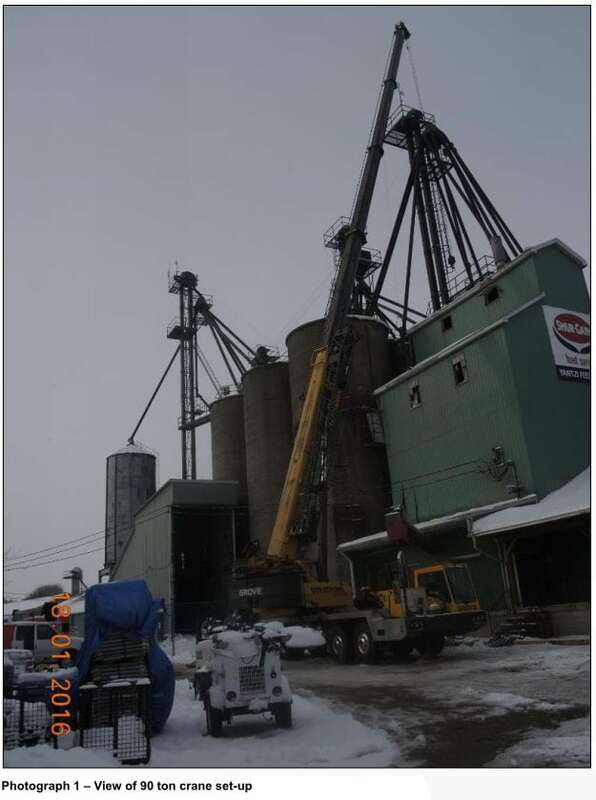 Following the investigation, a detailed assessment of the explosion-related damage, accompanied by a detailed scope of work and drawings to facilitate the remediation process was competed and the building permit to allow remediation efforts to commence was secured. Damaged structural elements of the building were selectively removed and replaced, restoring the structural integrity of the building, and new siding, roofing and additional finishes were installed. The cleaning measures proposed by the environmental team were implemented and the building’s electrical system was repaired. Following completion of the remediation work, the affected structure had been reinstated to its pre-loss condition, and the owner of the building was able to resume operations with the confidence that the structure was safe for its intended occupants and uses. Ultimately, it was the quick initial response and the innovative solutions for temporary shoring that prevented the necessity of a full demolition, and allowed for the completion of the origin and cause investigations and repair of the damaged structure. Repairing the damage to the building was done at a fraction of the cost of rebuilding, as construction of a new building would have required the removal and replacement of the entire structure, including all the mechanical and electrical equipment, and would have involved a significantly greater business interruption. Through saving the damaged structure and eliminating the necessity for a costly demolition and rebuilding process, this case was closed knowing that the building was safe and the most practical and cost‑effective solutions was implemented. Success on a case such as this can be attributed to a tightly-coordinated effort utilizing specialists across a number of disciplines. No one expert could have achieved this success alone. This case exemplifies the power of deploying a multidisciplinary team in the face of a complex loss scenario, and fuels the curiosity to discover what greater innovations and successes are possible when experts combine forces.